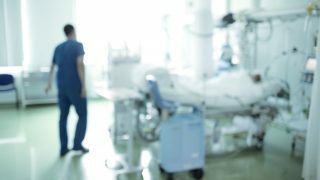 Government cuts to the NHS leading to a drop in staffing levels, low morale and insufficient training, coupled with continuing reports of violence against staff, are causing many healthcare workers to consider leaving the NHS, a UNISON survey of 2,000 healthcare assistants has revealed. A staggering 85% of respondents said they have seen or experienced verbal abuse, with 20% revealing they have been exposed to physical violence at work. 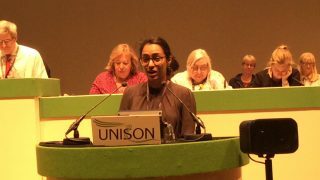 Continued cuts have failed to address the high levels of violence healthcare assistants have experienced over the past two years, with junior staff who often don’t have access to training in conflict resolution particularly vulnerable. An overwhelming 78% of respondents reported staffing levels have dropped over the past year, while a meagre 15% believe staffing is adequate in their clinical area. 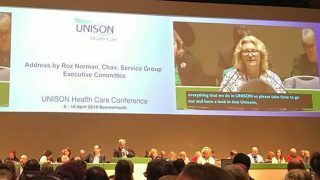 “This survey illustrates the sometimes grim reality for healthcare assistants, assistant practitioners and care support workers, whose already challenging job is made harder by decreasing staffing levels and the threat of aggression and violence. The survey paints a shocking picture of the reality of work for healthcare professionals in today’s NHS, with more than 40% of respondents admitting they had considered leaving their profession either fairly or very seriously over the past year. Yet despite the fundamental care that they provide to some of the most vulnerable patients, a paltry 7% said they feel their role is respected by the Government. “It’s no wonder that more than 40% of respondents have considered leaving the NHS this year. Overwhelmingly, HCAs are feeling that their job is neither appreciated nor respected by those in power. The Government’s cuts agenda is placing them, and professionals across the health service, under enormous pressure. “When four in ten HCAs are considering leaving the profession, something is very wrong. This survey is demonstrating the real impact of Government cuts – demoralised staff who are trying to deliver the best possible care they can in ever more difficult circumstances. Many respondents replied that they would value more training and more follow-through on their development. A third reported they had not even had an appraisal in the past year, and 65% said they agreed that HCAs are not given sufficient access to training to meet their potential. Of the respondents who have had training in more complex tasks, such as taking blood, a third have never practiced that skill since completing the training. 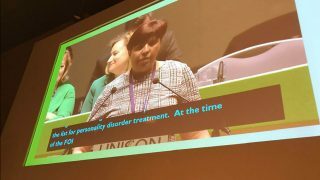 The survey coincides with UNISON’s annual Healthcare Assistants Conference in Liverpool, which will look at the current debates and hot issues affecting them in today’s healthcare environment, including regulation, training and best practice.